Dr. Tomberg’s medical interests include general family medicine, mind and body medicine, adolescent health and Lesbian, Gay, Bisexual, Transgender, Queer/Questioning (LGBTQ) Care. 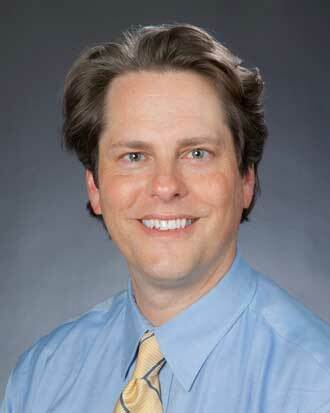 Outside of his practice, Dr. Tomberg enjoys skiing, meditation, singing and general family antics. Michael Tomberg was awesome. May have to make him my doctor. Dr. Tomberg is a special person, I have followed him for almost 20 years and travel to see him now. dr Tomberg is the best! I feel lucky to have him as my doctor!!! Dr Tomburg is a great doctor. The consideration and expertise he has shown our family is amazing. I have recommended Dr. Tomberg to so many people, he is crazy busy! My experience with Dr. Tomberg was exceptional. He spent time talking through my concerns and questions and I felt heard and understood. He has a knack for using terms and explanations that are easy to understand and relevant to me. I feel grateful to have such a great doctor on the island. Being in the Medical Profession for many years,Dr Tomberg treated me with the respect I deserved. I am very pleased and indeed impressed with the service, concerns, and overall openness of this primary care provider and feel privileged to have him accept my request for him to be my primary care provider! Our experience was very good. 8. 1 hr.? Dr. Tomberg is an intelligent and caring individual. I very much appreciate him as he is very helpful in answering my questions and dealing with my concerns. *Dr. Tomberg is an outstanding care provider! *Dr. Tomberg is the best primary MD I have ever had. He listens, is focused & attentive, yet personable and authentic. He also has an open mind to different approaches and keeps up to date - great communicator. Dr. Michael Tomberg is Awesome! Dr.Mike has saved me so many times in the past four years. Yes we have recommended many folks to Dr. Tomberg. Bainbridge Island is a small community, Mike is highly respected at VM on Bainbridge Island. Dr Tomberg is the best. Covers all the probable causes. Lays out what he thinks is needed and is always in good humor. Makes you feel comfortable. Dr. Tomberg is exceptional. I have been his patient for five years and have always received outstanding care. His knowledge and compassion make each visit a good experience. He takes time to truly listen. I have total confidence in his recommendations and am grateful to be under his care. The very best bar none. *Mike is one of the best doctors I´ve ever had. His ability to see past my weight and transness to find out what´s really the issue gives me much confidence in him. Dr. Thomberg is one of the best. Dr. Tomberg provided exemplary individualized care! Dr. Tomberg is wonderful. Always pleasant and upbeat. Provides a very thorough examination and discusses any and all findings with me. He involves me decisions regarding treatment and/or follow-up care. He is very good about getting back to me with lab results and or further consultations that were obtained.I have enjoyed having Dr. Tomberg as my primary care provider for years and have referred many of my friends to see him. I love Dr. Tomberg, he´s knowledgeable, personable, kind and takes his time addressing patients. Dr. Tomberg is easily one of the very best doctors I have had in my life (and I´ve had many). Michael is the best primary care physician I have ever has since I was an adult. I have recommended several colleagues to him for their care. Dr. Tomberg is a knowedgeable, thoughtful and caring physician. LOVE Dr. Tomberg! Very compassionate, very smart, super approachable. Bert doctor at Winslow! I am extremely happy with the care provided by Dr. Tomberg! #10. May not have covered all issues. Not likely it´s already too hard to get an appt. with him - a larger patient load for Mike would not benefit me. Dr. Tomberg is an excellent doctor, and a warm and intelligent human being. Dr. Tomberg is wonderful; thorough, down to earth, just a great family physician. I now have other family members going to him. Dr. Tomberg is terrific. He spent a great deal of time with me even though it was only a Medicare annual physical. Dr. Tomberg is a great physician. I am very likely to recommend. I have just recently joined Dr. Tomberg´s practice as a patient (been w/VM for many years). I have been very, very pleased. Dr. Tomberg is fantastic! An amazing doc! I hope to stay with him for many years to come. Dr. Tomberg-Virginia is the first doctor I´ve had since I was a teenager who I feel has real concern for my well being. He explained things very clearly showing areas of concern without being scary. I felt gently guided but not lead threw out appointment together. Dr Tomberg listens, is pragmatic in his approach, and patient and thorough when answering questions. I was very appreciative that I was given enough time and my appointment was not rushed, as I was with my previous provider. Dr. Tomberg exceeded my expectations. Dr. Tomberg is very professional, personable & trustworthy. Know his staff - very willing to listen empathetic. One of the best in the business of healthcare. Dr. Tomberg is the physician for me and my husband, who has been very ill, so I caregive for him. Dr. Tomberg is very sympathetic of my husband´s issues, and of me due to my having to care for my husband. Dr. Tomberg is an excellent listener and presents helpful suggestions. I DO appreciate him. Cannot say enough good things about Dr. Tomberg, he is a gem, please keep him happy so he stays at VM until retirement. Dr Tomberg always very caring, warm and thorough. Easy to speak with and involves me in all decisions regarding care. I have referred several friends to him and will continue to do so. VM has a great team! Dr. Mike Tomberg is one of the best physicians I have ever had the pleasure of knowing. He is very patient, understanding, willing to listen and extremely well read and well informed. I feel very confident in the care I receive from him and the staff at VM Winslow. I absolutely love my primary care physician. No complaints what-so-ever. A bit rushed. Need more than 15 minutes! Dr. Tomberg is the best! He is very attentive and cares about my concerns. He is very easy to talk to. I´ve been Dr. Tomberg´s patient for over a decade now, what I like most is Dr. Tomberg is well versed in his profession, he listens, he make recommendations that are doable. Dr. Tomberg always follows up with an email on the portal. If I need to email Dr. Tomberg he gets back to me right away, if he is not able to his associate responds ASAP. Dr. Tomberg remembers the last visit and follows up. He is a credit to VM. I am very fortunate to have Dr. Mike as my primary care doctor. I first met him at a friends picnic and in the coarse on conversation he made a pretty frank but true statement. It was at that time I decided this was the kind of doctor I wanted. Over the past few years i have followed Dr. Mike even though It´s quite the a distance for me to come. Mike is a straight shooter and tells it as it is, however because it´s so apparent how much he cares for the people he cares for it doesn´t come across as being negative but as wanting the best for me. Dr. Mike has set the bar very high for any other doctor. Dr. Tomberg has been and continues to be a wonderful physician. Dr. Tomberg is a rock star doctor. He´s really smart. He is super compassionate. Michael Tomberg has been my primary care physician for many years. His genuine concern for his patients is demonstrated continually in his care, excellent communications and timely follow up. Dr. Tomberg is a wonderful care provider. I appreciate his holistic and thoughtful approach and feel very fortunate to have him as my primary care provider. I especially like Dr. Tomberg. He is caring, intelligent, and patient even when he is extremely busy. It is wonderful to feel like a doctor cares about you. Heck, he even LISTENS to what I say. Dr.Tomberg is an understanding and compassionate doctor. We (wife, daughters and myself) stay with Virginia Mason because of him. Very good because there are no higher numbers. Dr Tomberg is the best! Very nice initial meeting with Dr. Tomberg. wonderful physician! thorough, kind, smart and thoughtful. Dr Tomberg is an outstanding doctor with amazing knowledge and wonderful personal care. I have had Michael Tomberg as my PCP for over 15 years. I have talked to my friends and no one has a provider as thorough, personable, and caring as I have. I think he offers the best care I could imagine. Got a good sense of humor, no elitist attitude. Funny guy. Dr Tomberg has always been easy to talk to, well informed, and caring. good experience, but there were a couple of things that we never got to. dr tomberg is caring and down to earth. he needs a few clones. Dr. Tomberg embodies everything you would want in your family physician: he not only is knowledgeable and thoughtful in his medical advice but also demonstrates genuine care for his patient by remembering personal details and showing concern for the whole person. I love Dr Tomberg; he understands and takes the time to listen to his patients. He works together for your health. Dr. Tomberg always spends time with me and it is never rushed. He responds to his email in a timely manner. Dr. Tomberg is a consummate professional whose medical expertise is exceeded only by his compassionate care and supportive positive spirit. Dr. Thomberg is the best. He is great listener. I haven´t used Doctors much in my life ( family Doc) But i´m very fortunate to have Dr. T as mine!! When i leave after an appt. i have a since of relief. dr tomberg is as good a doctor as i have ever had. and i´m old. I am so thrilled to have Dr. Tomberg back as my primary provider. He is the best provider of any type I have encounter either professionally or as a patient. Dr Tomberg was so helpful and interested in my wellness. I couldn´t recommend him more highly! Dr.Tomberg very _____ & professional. Dr Tomberg does an excellent job of explaining things. He makes you feels at ease .. and all around enjoyable experience. He is very responsive. I am particularly impressed with his timely responses thru the patient portal system and also the quick turn around time for getting results from lab tests. Best I´ve seen! Dr. Tomberg is incredible. Very glad to have him as my primary doctor. I have a lot of confidence in Dr. Tomberg. He is knowledgeable, kind, and forthright. A gem of a physician! Dr. Tomberg is one of the best MD´s I have ever known, do not let him get away!! Without reservation, I would recommend Michael Tomberg as one of the top primary care doctors I have ever known. He is thorough, well-informed, caring, and highly competent. Despite having a very large patient panel, Dr. Tomberg spent the right amount of time in dealing with my concerns. Dr. Tomberg always very pleasant and upbeat. He is very thorough in review of my problems, reviews the chart and lab/xray results with me during the visit. His exam was complete for existing issues as well and preventative care issues. He had reviewed specialty care notes from other providers and was able to discuss and correlate with his findings and recommendations. Always very responsive to portal messages. Outstanding physician. Dr. Tomberg is truly one of the very best doctors we have ever experienced caring for me and my family, he always enters the exam room prepared and with a warm smile. Dr. Tomberg is an exceptional doctor he is inclusive and never condescending, explaining treatment options in terms that you can understand, most of all he makes us feel like we are his only patient(s) that day. Our family is healthier because he is part of our health maintenance team. Dr. Tpmberg spent considerably more time than the allotted appointment time to address the concerns I have about managing my health and behavioral issues since the stroke that affected my thalamus. He is the major player in my recovery from the stroke, giving me reassurance and hope that I am doing all the activities that I can to minimize the stroke damage. He convinces me that he cares about my well-being and my successes in recovering. Dr Tomberg is a champion! Dr. Tomberg is an excellent physician. He is very thorough and observant and is truly dedicated to the wellbeing of his patients. Most impressive to me is that he looks to natural therapies first before prescribing a pill.